Quite a title, no? Just wanted to make sure you know what we are dealing with here. The original recipe calls for the seven-minute frosting. That’s when I wrinkled my nose. 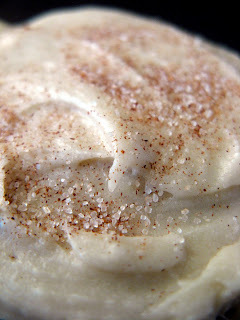 I made this type of frosting once and didn’t really like it. 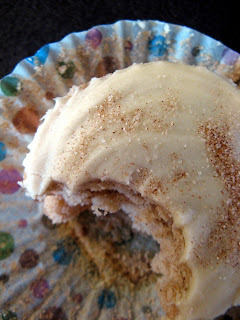 Besides, the idea of adding a frosting to snickerdoodle, even if it’s a cupcake, wasn’t really in my plan. I wanted to keep the sugar-y cinnamon-y coating from the cookie. I iced the cupcakes, sprinkled with the cinnamon-sugar mix and was finally happy with them. Then came the moment of truth. What will the snickerdoodle fan say? I was walking back and forth in my kitchen waiting for the verdict. ( Ok, maybe I was just staring into his face awaiting the opinion ). He loved it! My Hubby said they taste just like the cookies and the icing is great! Note: The recipe calls for cake flour. You can imagine I didn’t have any on New Year’s Day, so I used a little trick: measure out as much flour as the recipe calls for and take out 1 tablespoon of flour per cup needed. Meaning, I needed 1 1/2 cups of cake flour, so I measure out 1 1/2 cups of all-purpose flour and took out 1 and 1/2 tablespoons from it. Preheat your oven to 350 degrees. Line the cupcake pans with liners and set aside. Whisk together dry ingredients ( flour/s, baking powder, salt and cinnamon ). In a large mixing bowl, cream together butter and sugar until fluffy. Add eggs, one at a time. Beat well after each addition. Add vanilla. Beat again. Add the dry ingredients, alternating with milk. Make sure you start and finish with dry mix. ( 3 additions of dry, 2 of wet ). Beat after each addition. Make sure everything is combined. Bake 20 minutes, or until a toothpick inserted in the center of each cupcake comes out clean. Cool completely before icing. Pour it into a heat proof bowl, add sugar and vanilla. Stir until smooth. It should be quite thick, so add the milk and stir again, until it reaches icing consistency. It should not be too runny. Glaze cupcakes and use a spoon to scrape the bowl and fill your mouth with this creamy, buttery goodness. The icing will set as it stands. Sprinkle the cupcakes ( see below ) right after glazing. Yay! Let me know how you guys like them! Thanks for visiting! Hi Andrea! Welcome to CCS! Thank you so much for following and your lovely comment 🙂 Hugs! I'm so happy you found my blog! Now I found yours. 🙂 Love this recipe. Love snickerdoodle cookies so these must be amazing! Dear S.V. – 🙂 Let me know how you like them. Thank you! Hugs! Dear Mother Rimmy! Happy Birthday to your husband! Hope you guys will like the cupcakes! Hi Dara! Welcome to my blog. 🙂 Thank you for your comment! Simply irresistible! 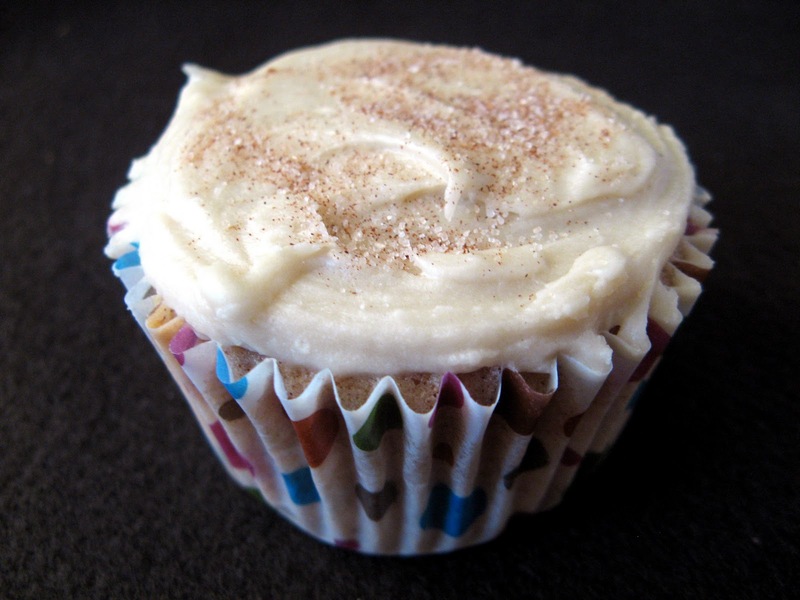 And brown butter icing…I am totally SOLD! These are definitely on my list for the weekend. It's my husbands birthday and he'll be very happy with these. Great job! These cupcakes looks delicious! 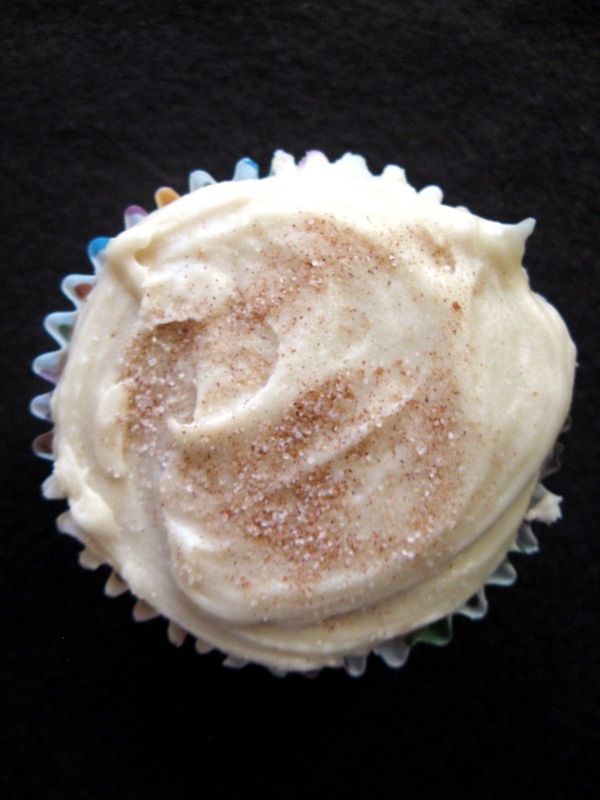 I love a good snickerdoodle, and you've done a great job of recapturing them in cupcake form. 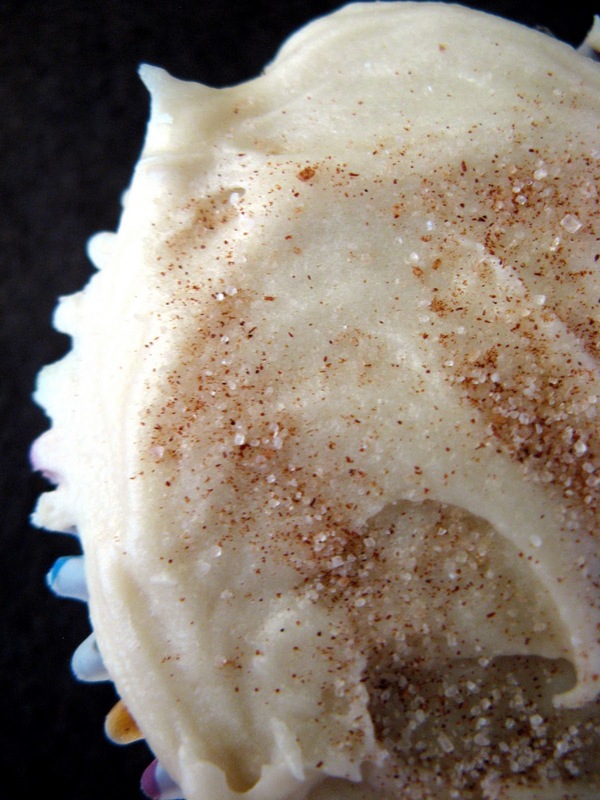 That frosting sounds like the perfect finishing touch! So yummy! Now I'm craving cupcakes, just as I resolved to cut back on dessert…. Sweet Lizzy, they are fabulous! Thank you! Hugs! Hi Melissa! Thank you for stopping by! Dearest Ann – I am blushing 😀 Thank you! Dear Ramona, I hope this will not keep you from coming here 🙂 Hugs! Brown butter icing? OMG, this must be fabulous! Great cupcakes, Anna! 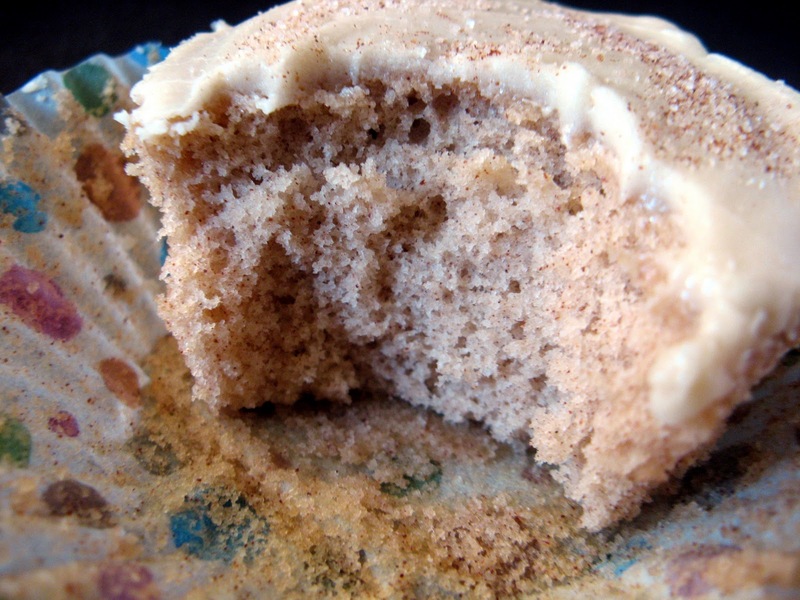 Amazing – and brown butter frosting…how cool are you? (Rhetorical question…you're COOL!) 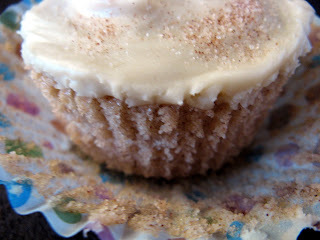 I think I like these better in cupcake form – but then I'm a fan of cupcakes! Definitely some cinnamony treats here, I love the picture with the bite out of them. They look so fluffy and delicious, especially with the brown butter icing. I will need to try these-yum!